Now you can increase the number of witches by adding 4 new types. These witches are several times stronger than standard mobs and you will have to swing your sword well enough to defeat them. In addition, the witches are not alone, they have small pets who protect their masters. As a result, the Elemental Witches addon is a good way to diversify the game world and test yourself as a warrior. All witches spawn in different biomes around the world. For example, The Witch of the Dark lives in dark places such as caves and canyons. She uses wither heads as weapons and controls her little spiders. As you can see, each witch has distinctive features and can be stronger than the previous one. 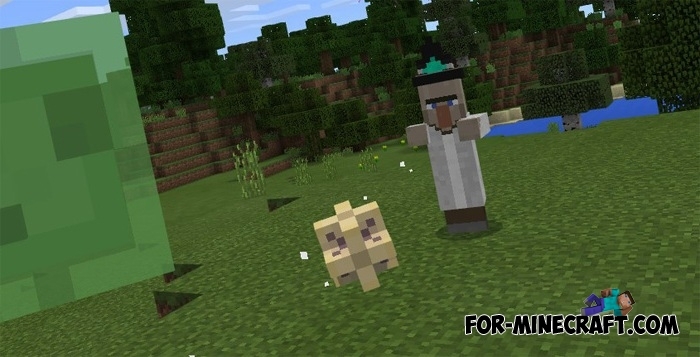 If you like magic mobs then install the Elemental Mobs addon which contains not only the new witch but also other magical creatures.